"No" does not mean "no". How to retain two thirds of subscribers who want to leave? 18.8% of email contacts lost yearly. A link for unsubscription is an inevitable part of any marketing email. Even true spammers usually respect your right to unsubscribe. Companies, on the other hand, don’t like watching how their precious database decays over time. Depending on the industry, an average contact database loses 18.8% of contacts annually (other resources state it could be up to 30%). Just a small part of this figure comes from unsubscriptions. In the case of Incomaker’s customers, it is about 1.7% (i.e. about 9% of losses) on average, industry dependent. The rest are the cases when companies go out of business, customers abandon or change their email addresses, change their jobs, or simply start to ignore your mailings. You can do a lot to keep unsubscription rate low, but let’s focus solely on the moment when a customer clicks on unsubscribe link. It will do about 5% of all your email subscribers every year on average. Incomaker analyzes incoming email from many senders. According to the research, unsubscribe link for the target group leads to the following results. As you can see, even today, you can still receive a mass mailing without an unsubscription link. In many countries, it could be illegal, but much more importantly: it is inconvenient for your customers. An immediate or easily confirmed unsubscription does not offer any chance to avoid losing the contact. Surprisingly, companies most often ask leaving customers for reasons for their unsubscription although it is completely useless. People have no incentive to answer and even if they do, the information is of low value. It means that 75% of senders combined even don’t try to retain the contact and lose it forever. In 11% of cases users can change their profile, what means email address, the frequency of sending and/or preferences for information they want to receive. 14% of senders offers a chance to adjust mailing lists, i.e. to choose what information customers want. Besides retaining subscribers, you also gain customer preference data. According to Incomaker customer data, click on an unsubscription link ends with a final unsubscription just in 37.2% of cases if the subscriber has a chance to adjust their preferences. Yes, you can save almost two-thirds of your subscribers if you offer them an alternative and thus decrease unsubscriptions from 5% to 1.7% annually! 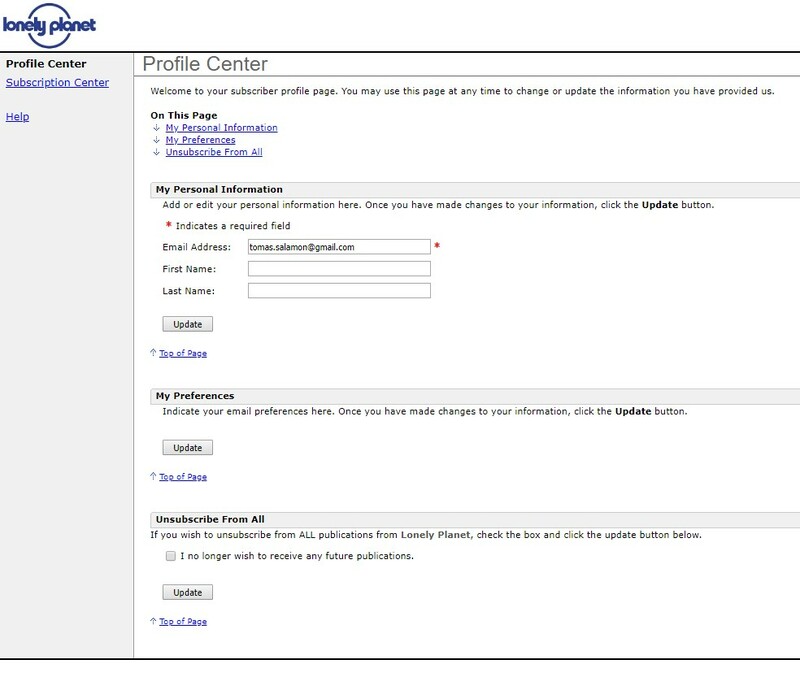 The sole change of preferences is preferred over more complex profile editing that could distract users. Incomaker makes this super easy. It puts unsubscriptions links into your emails automatically. By default, the link leads automatically to an Incomaker-generated page with a choice of topics that could be interesting for the user. Retain your subscribers, offer them a choice instead of direct unsubscription. Not only you will retain more of your precious contacts in your database, but you also automatically retarget your customers.